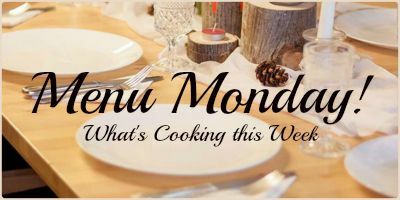 Since I'm still in recovery mode this Monday morning and don't have a menu I thought I'd share a few recipes that I compiled from this blog to give you some ideas for your menu this week! Easy, delicious and quick to make.... who could ask for more from a meal? I used about 3lbs of chicken breasts divided into 2 9x13 pans. This recipe could be cut in half very easily. Cut up chicken into bite size pieces. Divide between 2 9x13 pans. Drizzle ½ cup ranch dressing over each pan of chicken. Divide cook and crumbled bacon and spread half of it over each pan of chicken. Top with cheese. The recipe gives and approximate amount of cheese. You can top it with more or less depending on your tastes. Today is my surgery day so there will be no WSS. Thank you to all who have said a prayer for me, I appreciate it! I'll be back to blogging as soon as I'm able to. I've set up a few posts for the next week for you to read while I'm on the mend. I hope you all have an amazing week!! Good morning! This week's menu is looking a little different as I'm a couple days away from surgery and won't be doing a lot of cooking afterwards. I'll be on a special post surgery diet of soft liquids (such as smoothies and broth, etc.) but I wanted to make sure my hubby still had food to eat. Last week I did some extra cooking and packed up individual meals for him. I'll share more specifically about that in another post. Tonight we are taking our son and his girlfriend out to dinner to celebrate his birthday. His actual birthday is later in the week so we decided to celebrate with him tonight. I told him the choice of restaurant is up to him. So we'll see what he has decided on when we get to his home. 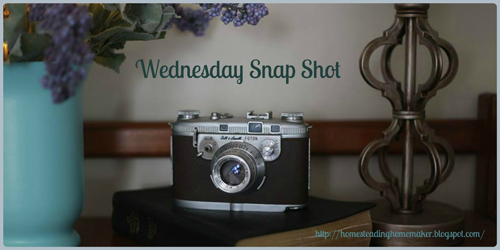 The rest of the week is looking like this..
Wednesday Snap Shot is a quick peek into my week. So Far This Week It's been a good week so far. I am happy to say I got a new stove. My oven on my old stove has not worked for a very long time. I was torn as to what I wanted to do. We had replaced the mother board on it 3 times already and were looking at doing it again. The cost for each mother board is $400. So do I replace it again knowing it will also fail eventually? Or do I purchase a new range? Good morning! My first menu of the new year. I've had my mind on so many things that I've thrown together food for the last week. I'm happy to be back to a menu. Makes life simpler. I need to go grocery shopping. Not sure if it will be today or tomorrow. So I'm planning on a simple meal tonight with the foods I have on hand. I'm making hamburger potato chowder. I'll serve this with a big green salad. Chicken Bacon Pesto Pasta I made this while my family was visiting and it was a big hit. I made it in the crockpot. I don't have a specific recipe written down but I'll share what I did. So Far This Week Good morning to you all! I hope your week is going well and your off to a positive start with this brand new year. Happy New Year! A new day, a fresh start, a clean sheet of paper, a brand new year. There's something about the start of a new year that I really love. It seems to hold promise, excitement, and the desire in many of us to change things that bother us, to do things that push us just a bit, and to improve. Some call this making resolutions or setting goals. I've always preferred to think of it in terms of goals but this year my son said something to me that gave me a completely different way of viewing this. It has to do with themes for the year and with vision.